Signs of spring 2013. 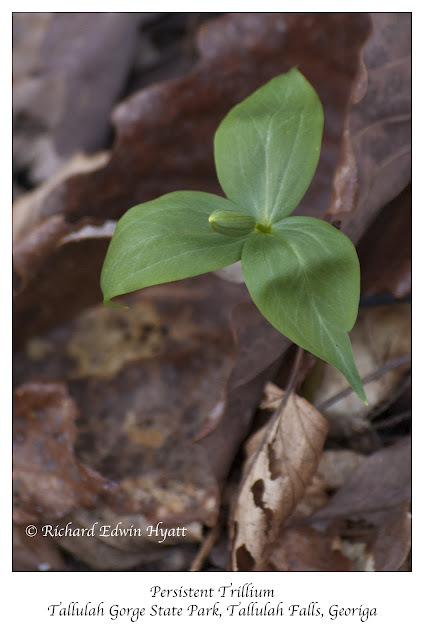 This little Persistent Trillium is about to put out its flower. Tallulah Gorge is the only place in the world this wildflower lives. It thrives on the slopes of the gorge and can be found near the trails if one in persistent.